With online gambling representing roughly 50-60% of all Bitcoin transactions it is only a natural evolution that members of the BTC community come up with new and innovative methods for players to gamble. 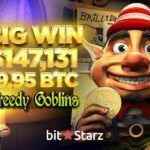 BitBingo brings the latest in Bitcoin gaming with a casino platform that also incorporates multiplayer Bitcoin Bingo and interesting and competitive deposit bonuses. 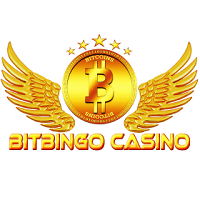 Still in its infancy, BitBingo.io is a relatively small Bitcoin casino and Bingo environment that still has plenty of time and opportunity to grow into something special. Site navigation is straight forward and members are able to move from game to game easily. BitBingo is mobile friendly and this is immediately evident when first entering the site. Accessing any section of the site can be done directly from the home page including account history and the cashier which we appreciate. The layout is not flashy and quite basic when compared to the competition but prospecting players should keep in mind that looks can be deceiving. BitBingo is still a fully functional site with provable fairness and a wonderful bonus program; don’t judge a book by its cover. There are currently 27 slots games to play but most of these are duplicates that run on flash. 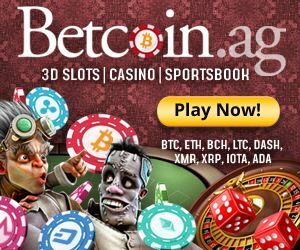 They are not the vivid 3D slots like Betsoft or GameArt games that many Bitcoin gamblers are used to but are provably fair. BitBingo also has several card and casino games like blackjack, Texas Hold ’Em, baccarat and multiple varieties of roulette. These games are all software based and there are no live dealers or real human beings on the other side of things which is a bit of a drag. There are also a couple casual games in the form of horse racing, minesweeper, scratch dice and heads or tails – a classic iteration of a coin flip in Bitcoin format which players can enjoy on the side. BitBingo’s claim to fame is directly in its name – no rhyme intended. Bitcoin bingo is objectively untouched by major Bitcoin casinos and gives BitBingo a unique flavor that we enjoyed. There are many styles to play with different card pricing and jackpot sizes. Card prices start from 0.30 mBTC per card and go up to 3 mBTC each. There is a limit of 96-100 card purchases per game of bingo depending on which style you’re playing. Styles include 4 corners, straight lines, blackout, patterns and straight-or-corners. 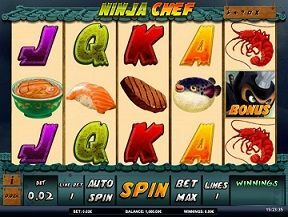 Jackpots on the Bingo games range from 2-5 BTC at the time of writing which is a healthy reward to aim for. To win these progressive bingo jackpots, players must meet certain conditions like having a blackout or full house before a certain ball count is reached. Perhaps the most enticing feature of BitBingo is its promotions. Each new member is eligible for a 200% first deposit bonus up to 2 BTC and can be claimed at any time until they make their very first withdrawal. The rollover of 20x the bonus amount is virtually unmatched while a portion of the bonus is released every night at midnight GMT based in proportion to the amount wagered that day. The release is dependent on which game members have played. Casino games will release bonuses at a rate of 25% of wagers lost while Bingo games release bonuses at 10% of bingo cards purchased. Once a player has completed their first deposit bonus they are given a 50% Any Deposit bonus up to 1 BTC when they make their next deposit worth over 100 mBTC. The same bonus rules apply. Players who win some Bitcoins playing on BitBingo and decide to cash out will receive their released bonus portion immediately while the rest becomes void. 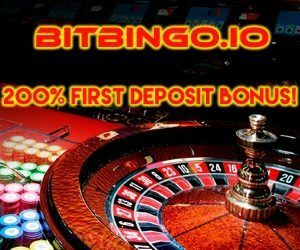 What is important to understand about BitBingo bonuses is that they allow players to withdraw at any time. 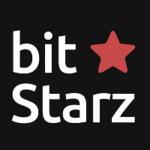 Since the bonus is released as you play, members can withdraw at any time unlike many other Bitcoin casinos. However the remaining bonus will become null and void. We like these bonus terms as player funds aren’t locked until you complete the entire rollover. Unfortunately there is no 24/7 live chat and all support must be done through email. However, email support does run around the clock and they do respond to customer requests in a relatively short period of time. While not as convenient as other Bitcoin casinos, it does get the job done despite the fact that many of us feel well taken care of when speaking to a customer service representative directly in real time. Email support is less personal and thus less desirable. All data sent from your device to BitBingo is fully protected with SSL encryption and registration is fast, painless and requires minimal information. The nature of Blockchain technology combined with the security features implemented into BitBingo ensure that your personal information and data are always safe. We feel like BitBingo has a lot of both character and potential. 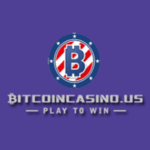 While still a small Bitcoin casino we believe it could become a fun site to play on once the community grows. Bitcoin bingo is unique and fresh with the ability to increase in popularity as time progresses and exposure increases. The slots are not as enjoyable as other platforms but the Bingo alone deserves your attention. Retaining client anonymity is at the top of BitBingo’s priority list and we respect them for that. Given time to improve the site we have faith that the Bitcoin bingo platform can one day be an amazing place to play an uncommon yet truly addictive form of Bitcoin gambling. BINGO!